It's hard to find the time to even think about, let alone prepare healthy meals during a busy work week. Instead of worrying about it all week and feeling guilty about making hasty, not-great meal decisions, why not take a few hours out of your least busy day? Together we can prepare a weeks worth of healthy and delicious breakfasts, lunches, and snacks. We can also discuss the benefits of eating locally, organically, and healthfully. 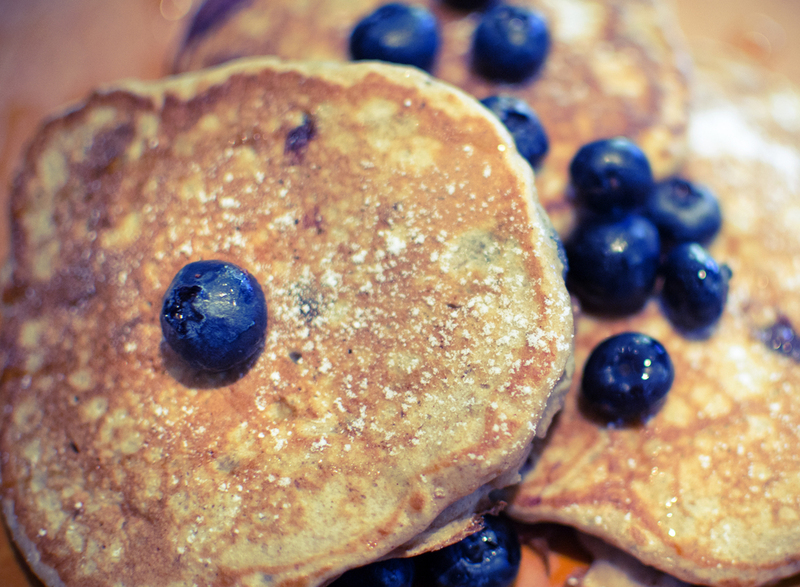 Banana, blueberry, walnut, chia & flax seed, oat pancakes.